On Monday, Sept. 19, ticket pledge drive campaign getBlue was launched in Fort Lauderdale seeking $2 million in non-binding ticket pledges from the community. Fort Lauderdale, FLORIDA – A vigorous South Florida community campaign – getBlue – has launched today to boost efforts to recruit jetBlue’s direct airline service between Fort Lauderdale-Hollywood International Airport and Tallahassee International Airport through a unique ticket pledge drive. The campaign aims to secure non-binding pledges to “pre-board” $2 million worth of ticket sales by Oct. 21. The campaign has already secured more than $2 million in pledges from Tallahassee-based travelers who want direct flights to Fort Lauderdale, and those efforts will be duplicated by South Florida pledges, by local residents, and businesses wanting convenient jet air service to the state’s capital city. Over the past week, pre-launch activities in Broward have quietly secured more than $356,000 in ticket pledges already, and officials hope the response far exceeds the goal. Discussions with jetBlue have been productive, led by local officials in both Tallahassee and the tri-county area including Broward, Miami-Dade, and Palm Beach. However, the community engagement piece, dubbed getBlue, has underscored to airline executives how much area residents and businesses are invested in this effort. As the seat of government, Tallahassee is headquarters of hundreds of statewide associations covering the full range of interest groups, from lawyers and doctors to teachers, sheriffs, nursing homes, banks, realtors, and more. 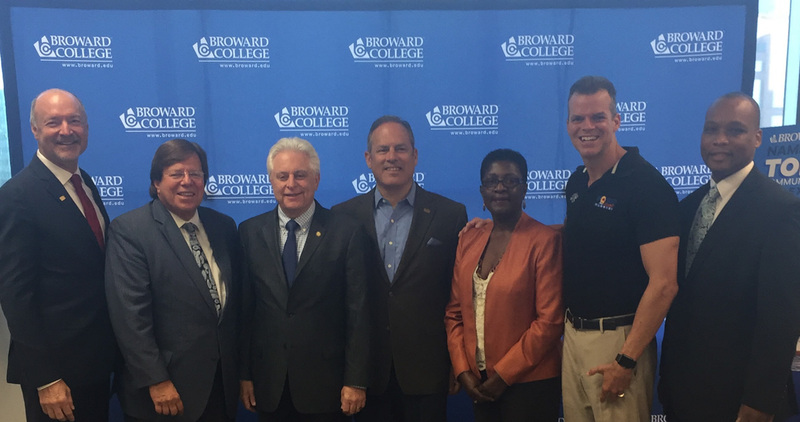 Broward County also sends the second-largest delegation of state legislators to the Capitol, but they and their staff can’t fly directly from Fort Lauderdale-Hollywood International Airport to Tallahassee International Airport. A direct Fort Lauderdale-to-Tallahassee air service by jetBlue would be a plus for the entire tri-county area, and a direct route from the state capital to the communities will add to South Florida’s profile and open doors to greater opportunity. Please visit getBlueSFL.com to make your non-binding ticket pledge today.